A biography of the poet W. B. Yeats and his contribution to the Irish independence movement as a Protestant nationalist. Through performances of some of Yeats' most iconic poems by leading Irish and British cultural figures, Geldof reveals how Yeats and others built the scaffolding of a new independent Ireland decades before the Rising - but how Yeats' vision for a modern, pluralist, inclusive Ireland was pushed aside by the narrow-minded Catholic Ã©lite of the new Free State: the "Banana Republic" that Geldof in turn rebelled against half a century later. A Fanatic Heart is a captivating tale of mythology, nation-building, insurgency and disillusion - and how one man dreamed an entire country out of the ravages of famine and into a new dawn. With performances of Yeats' poems by Sting, Noel Gallagher, Edna O'Brien, Bono, Van Morrison, Olivia O'Leary, Liam Neeson, Stephen Fry, Dominic West, Richard E. Grant, Bill Nighy, Anne Enright, Colin Farrell, Ardal O'Hanlon, Shane MacGowan and more. Includes CD featuring readings from the award winning documentary. Additional footage feature both Bob and his celebrity contributors, e.g. Bono, Shane McGowan performing recitations of additional poems by Yeats. 73 poetry readings and 23 discussion pieces! 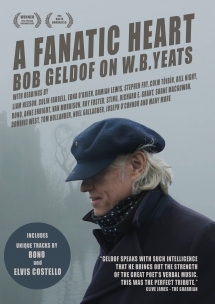 Features performances of Yeats' poems by Sting, Noel Gallagher, Bono, Van Morrison, Liam Neeson, Stephen Fry, Dominic West, Richard E. Grant, Bill Nighy, Colin Farrell, Shane MacGowan and more. 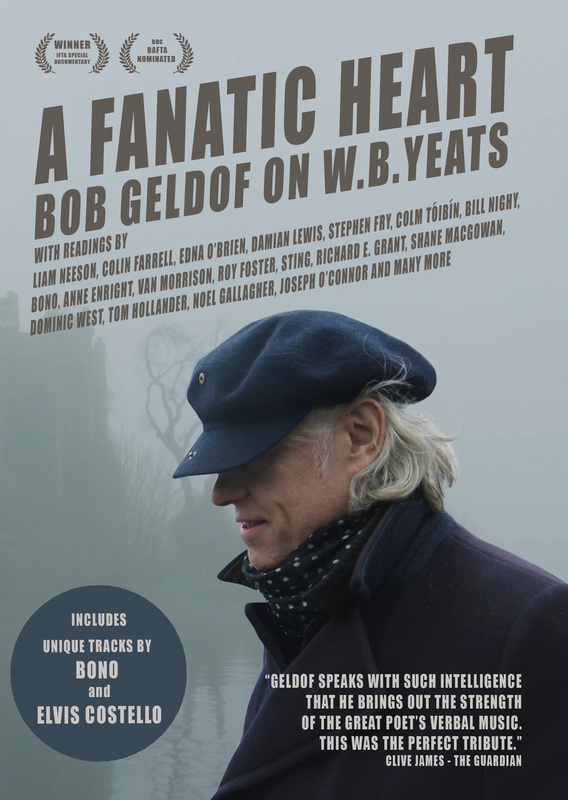 Geldof on Yeats was one of the best literary documentaries I've seen in a long time... hugely engaging, informative and thoughtful.